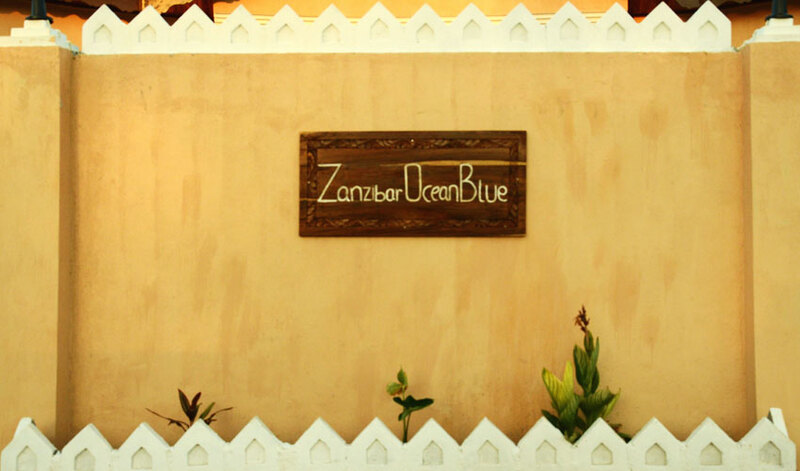 Zanzibar Ocean Blue is specially designed for the ocean side experience. 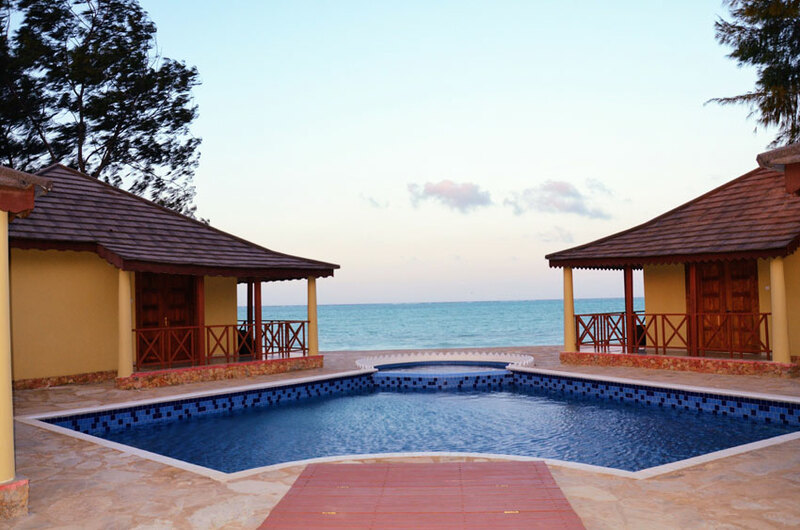 The hotel features two swimming pools, restaurant and direct access to the sea. The rooms are bright and spacious, decorated with tiled floors, art paintings, wooden furnishing and comfortable living room sofa sets. 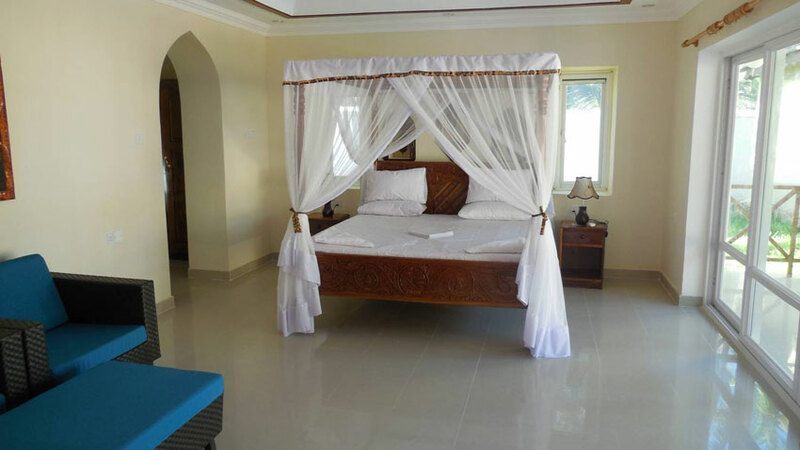 The rooms have their own private balcony with free Wi-Fi, remote controlled air conditioning to ensure that you sleep comfortably even during the hot weather. The dining area is enclosed & spacious offering sweeping ocean view, spectacular! Opens daily from 7a.m. 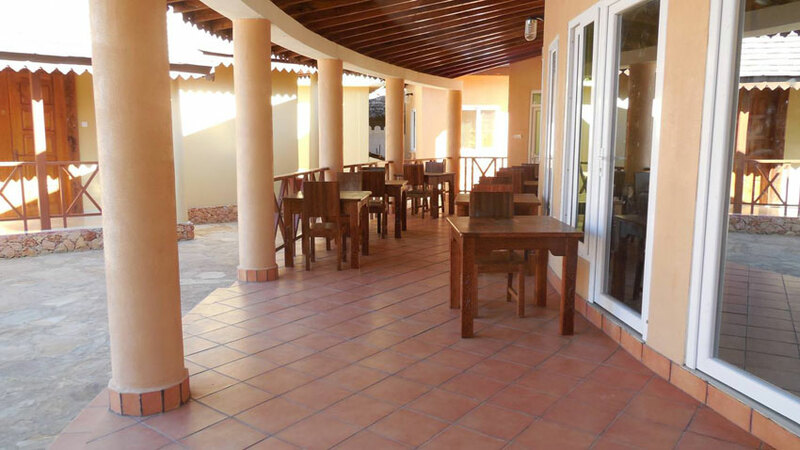 the area has a tiled floor, ceiling fans and self service buffet meals. 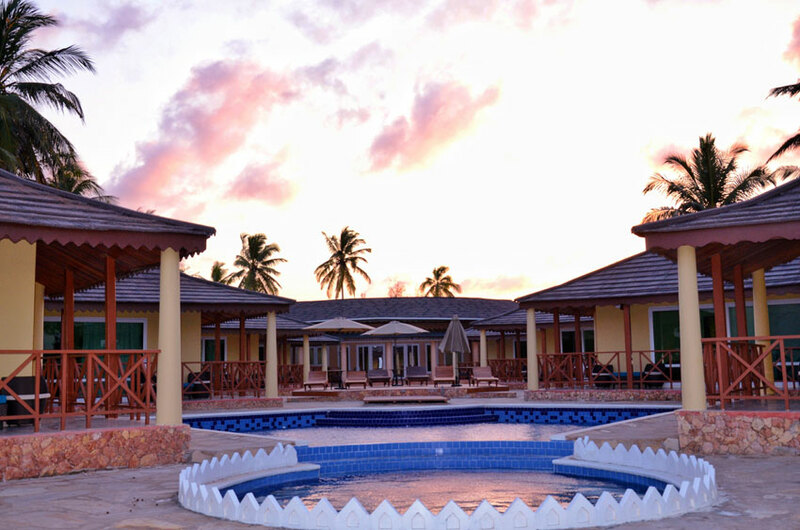 Most of our customers enjoy taking their meal or merely relaxing on the beach. 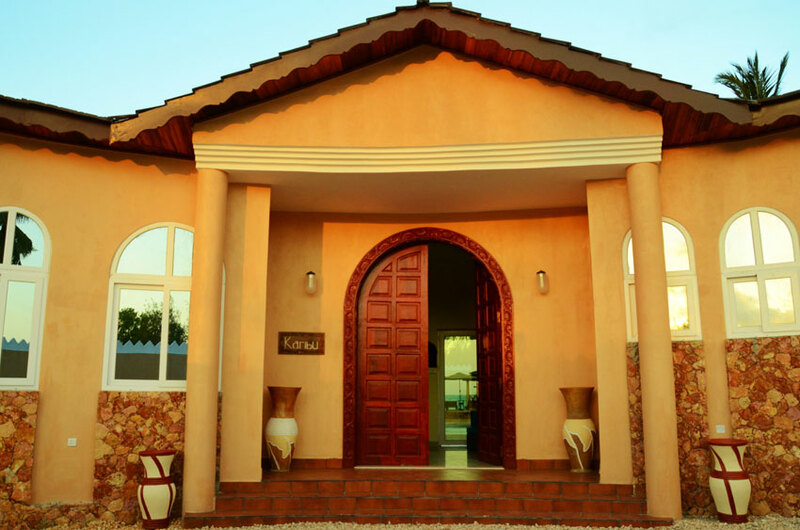 Guests can relax on the sun loungers by the pool or go for a good massage/spa session to the neighbouring Arabian Nights Suites hotel. If they feel adventurous and sporty, a visit to the dive or kite centre is all they need. 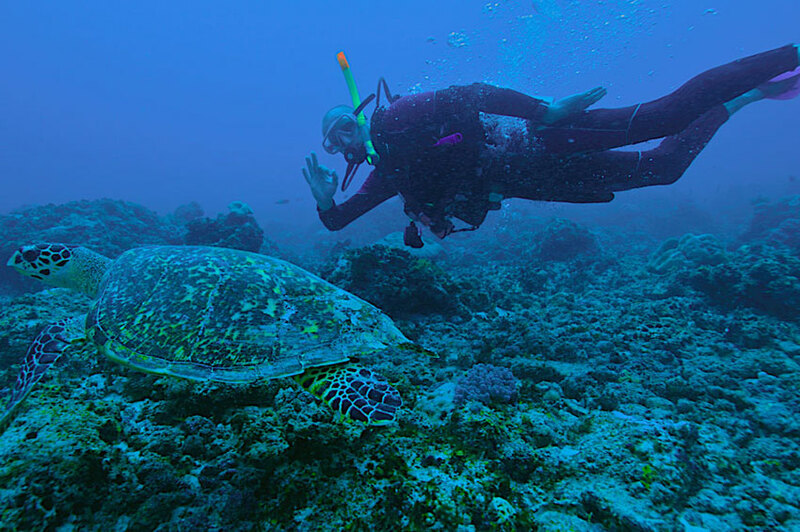 Enjoy the water sports and activities of the Indian Ocean.